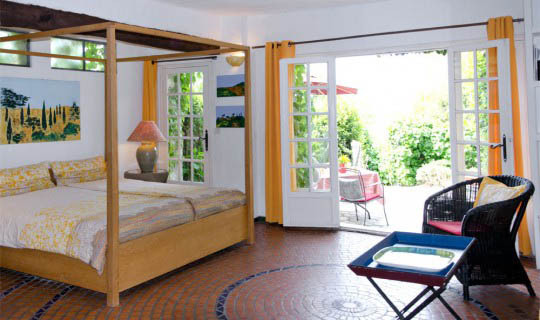 Villa Vivendi is an enclave of more than a dozen apartments that was built by artists, artisans and individualists and has been completely remodeled and kept up-to-date by us, for you, our guests. Delve into our world and let it become yours – no matter what time of the year, it is always the right time for a visit at Villa Vivendi. 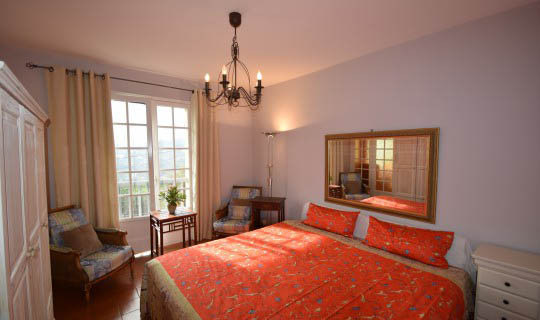 Holiday-apartments always welcome you, your friends and family. 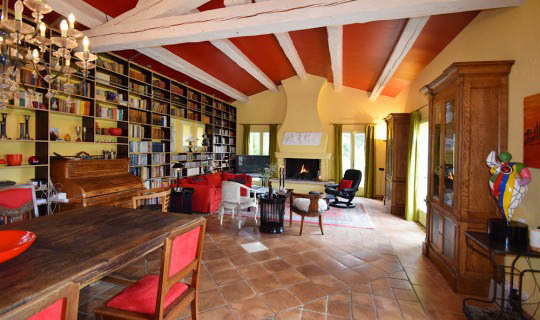 Villa Vivendi was built in the forties of last century as the family home by Monsieur Couteller. His son Yves – who is still famous under his nickname Younick to the older people of Vence – lived as a spiritual guardian in a neighboring house until his much-too-early passing in 2010. As a libertine and gourmet he knew about the best wines of the region or in which hidden forests to find local truffles. Unfortunately he took many culinary secrets with him, but fortunately his widow – our dear neighbor Marianne – still gives us many insights into the regional kitchen. Many of our recipes are based on her knowledge. 30 years later the Coutellers sold the main house to André Iriart, at that time a famous art collector. He and his wife remodeled the house as a summer house for themselves and their friends. Those were the wild seventies and many parties were celebrated around the huge, still existing Obelix-table under the big oak tree. The table was named in memory of René Goscinny who died in 1977, the inventor of “Asterix and Obelix” comic strips who apparently was a good friend of the owners. Monsieur Iriart, being a famous art collector, always had an illustrious entourage of regional artists. Those artists not only left various works of art, but were also actively involved in the remodeling of the house. From those days originate some of the little treasures that make Villa Vivendi so unique. We cared for them all these years and renovated them if necessary. The bathroom in the »Orange« apartment, the flooring in »Laurier« or the green tiled bathroom in »Citron« are witnesses of those days. There are many small »signs of the times« that are not so obvious but give the house its unique appearance and creative flair. 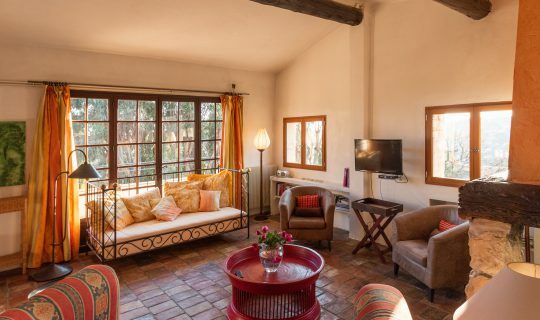 Since we acquired the house in the nineties, it has been a pleasure for us to foster and nurse the beautiful little details of the Villa in order to retain its hospitable and friendly character. We renovated with care utilizing quality modern fixtures, while maintaining the lovely uniqueness of the place. We wanted to leave our own footprint without wiping out the past. You will find the colors of sunrises and sun downs, the azure blue of the Mediterranean see, or the light pink of rosé wine. And we follow in the artistic footsteps of the former owners by banning the light of Provence on canvasses that adorn our apartments. Of course we are dedicated to the regional, southern French way of life. 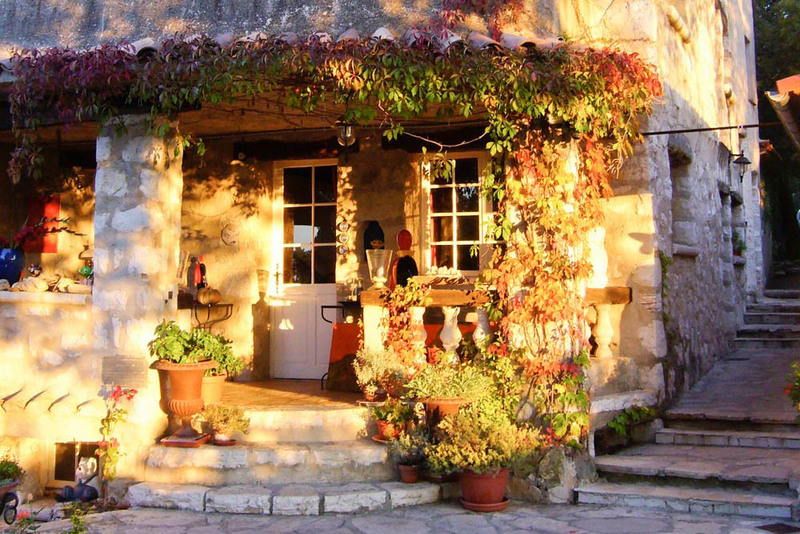 Almost every week we open our little »Bistro« and celebrate Provençal cooking (most of the time). Together with Gert Wiescher our friend who is a dedicated cook we try to introduce you to the regional delicacies. In hot summer evenings on the big terrace and on cooler evenings in our little »Bistro« with its open fireplace we often feast together. Come and join us at our home, make it your home for 2 weeks or 12 months, what – or however you want it. You are always welcome. 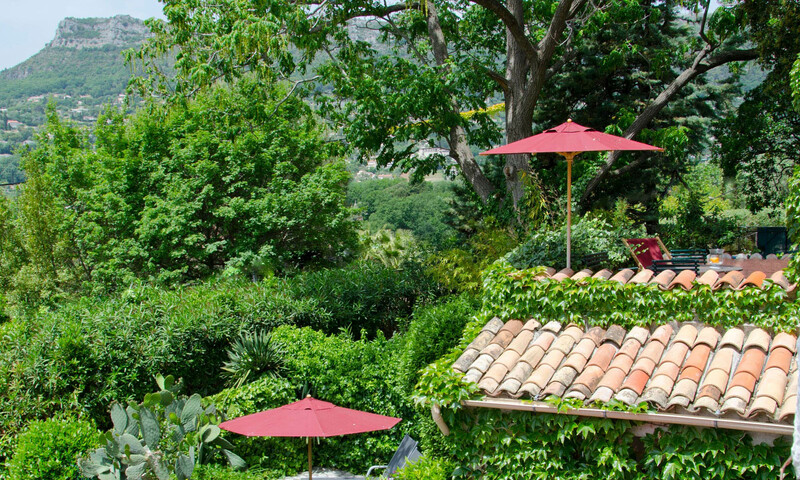 No matter how the Villa Vivendi changes over the years – one thing stays forever – our unique situation on a gentle ridge right on the edge of the Cagne-Canyon. From here, unspoiled views to the Mediterranean Alps, into the depths of the Canyon, over to the Mediterranean Sea can be seen. 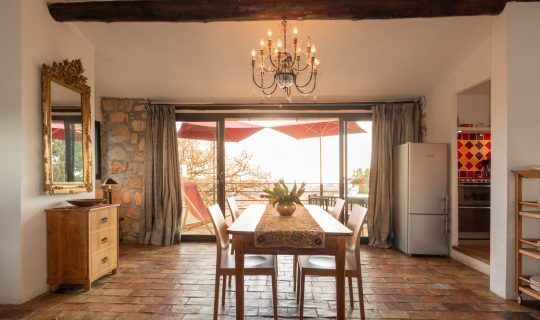 On clear days you can see Corsica Island, the Esterel-mountain range and the medieval village of Vence with its dramatic sundowns just a ten minute drive away. 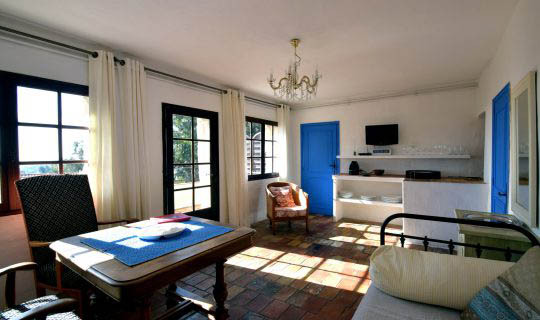 You’ll enjoy the proximity to the Cote d’Azur and the quietness of our secluded Villa. 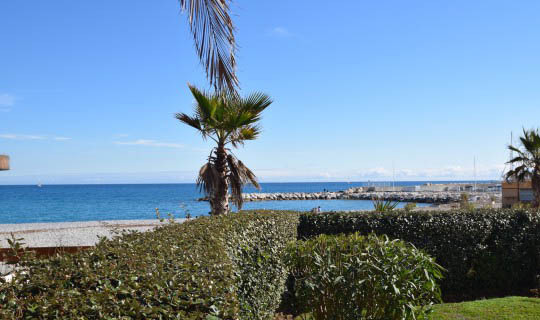 Vence is a lively, small French town which is fully functional all year long; it is not your typical tourist trap on the beach. Vence offers a tree-lined town square with many local small businesses, nice cafes and good restaurants in all price categories. 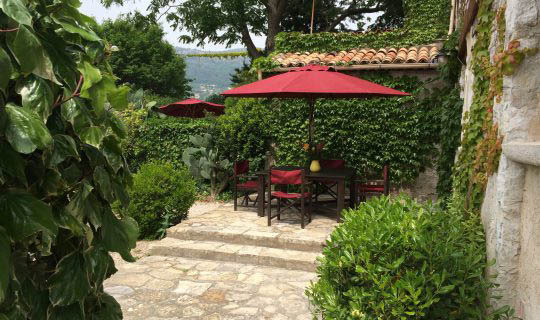 From Vence you can be in St. Paul de Vence in 8 minutes and in only 20 minutes you are at the Nice airport or in Grasse, the perfume capital of the world in half an hour. It happens almost every day; most of the days shortly before noon – a little rustling, a short swish and a hushed pop and on one of our many terraces someone celebrates the first cool bottle of rosé-wine. Even if you come to enjoy the many lovely surroundings of southern France, idleness demands much of your time during the stay with us. 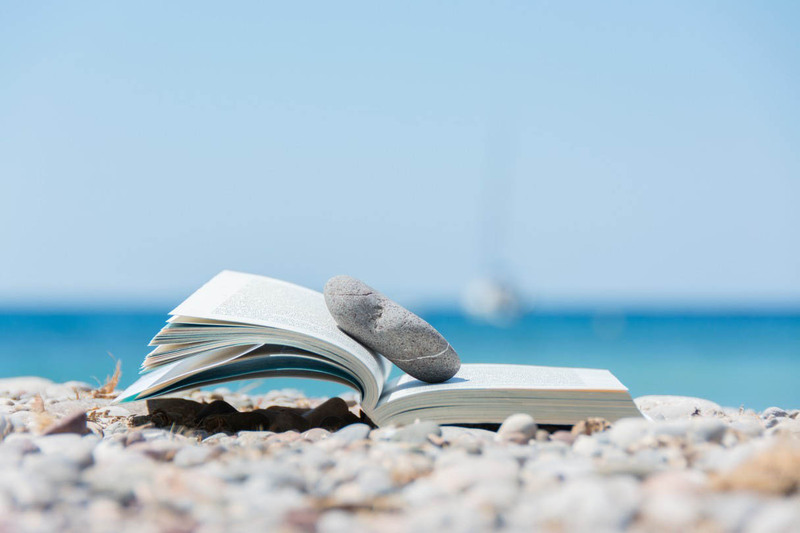 Whatever you are looking for, we will be there to guide you to the best places and to the perfect way to enjoy doing absolutely nothing. Between Easter and the end of October, if you want a fresh baguette, croissant or pain au chocolat for breakfast, we’ll get it for you. Just tell us what you crave and we will fetch it from our favorite baker in Vence. In our little shop you will also find delicious honey from Provençe and homemade marmelades. We are always hunting for regional delicacies and offer them to you in our little shop. Apart from fine olive oil and wine you can also find jams, lavender honey, olives and olive pastes as well as homemade sauces – for your own pleasure or as a nice souvenir for your loved ones at home. One ot two times per week we open our Bistro-Restaurant for you. 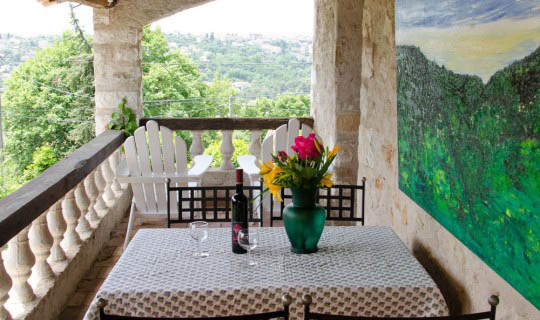 Relax on our big terrace and savor regional dishes with accompanying wines. Together with our cook Gert Wiescher you celebrate the delicious regional kitchen and enjoy an unforgettable evening. 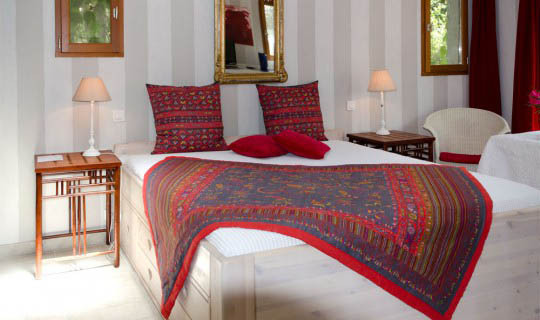 Treat yourself to the luxury of peace and quiet on Mon Repos! 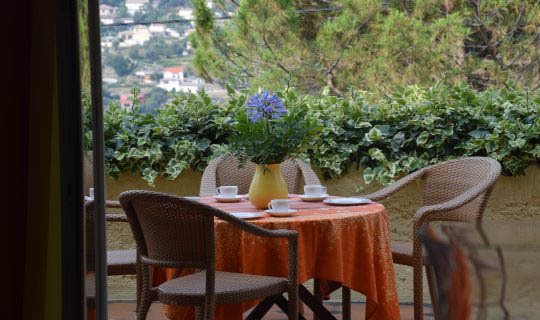 A few comfortable hanging chairs, a fantastic view over the Cagnes Gorge to the Maritime Alps and nothing else! A retreat for the inward-looking, those seeking peace and quiet and all those who want to switch off online and offline. Enjoy private Hatha yoga classes or soothing massages by Sandra Fejer de Haraly and immerse yourself into a world of peace and tranquility. We will be happy to help you make an appointment. 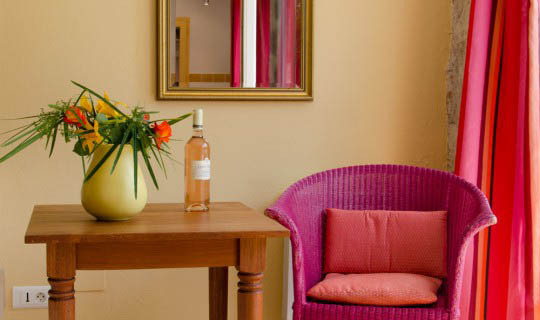 We offer free wifi on the entire grounds, but because of thick stone walls and very weak French internet connections reception can not be guaranteed in all apartments..
All apartments are equipped with a TV set and a satellite receiver. Our receivers are set to a German satellite, but some English news channels can be received as well as radios stations. All apartments have their own free-of-charge parking spot on enclosed grounds. If you need to do your laundry, we offer a washing machine and dryer for a small fee. Whatever you need or want, just ask us during the general opening time of our reception. A day at the pool can be so wonderfully relaxing – even more so, when the dinner is as delicious as it was. Thank you so much for this wonderful day and this relaxed evening in the Villa-Vivendi-Bistro! Even the most thrilling excursions were topped by coming back to Villa Vivendi, a quick dip into the pool and then enjoying the sundown over Vence. Unforgettable! 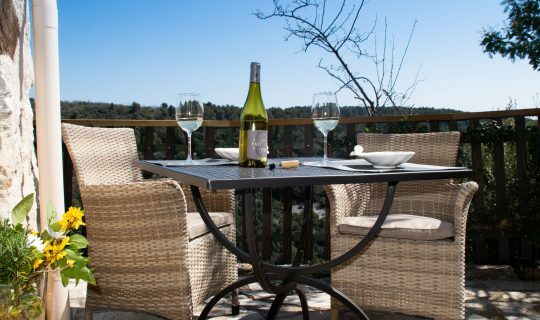 Pain aux Amandes (almond bread) on the terrace – there’s nothing else to say! Our children were thrilled by our excursion into the gorge of the Cagne. Wading through crystal-clear water, watching dragonflies and other adventures – just ten minutes from Villa Vivendi – what else do you want? Every Thursday we convert our our terrace for the pleasure of our guests. That’s when we start cooking, celebrating regional delicacies, just for your enjoyment, just for you to take part in our culinary discoveries. We cook delicious regional dishes and take you with us on a culinary journey. Since a few years we enjoy the knowledge of Gert Wiescher, a good friend, talented chef, connoisseur of French cuisine and French kitchen-secrets. Our location can be easily described with a single word – unique! 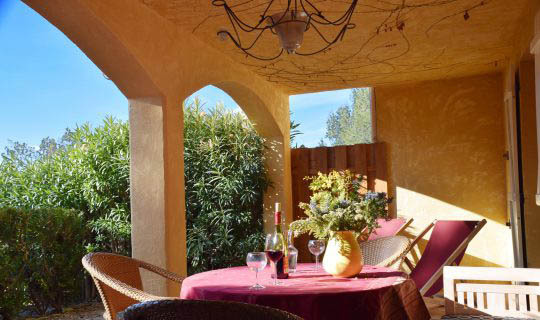 On a mountain ridge and bordering the Cagne-Canyon, you will enjoy the fantastic panoramic view from the snow covered mountains of the Mediterranean alps, the Cagne-Canyon, the Mediterranean sea, the Esterel-mountain-range and last but not least the medieval town of Vence. On clear days your view can reach as far as Corsica. 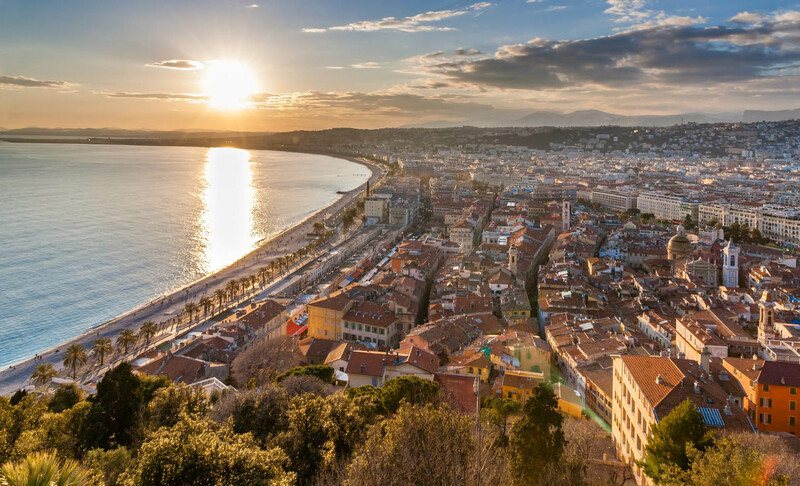 You can enjoy the Cote d’Azur and escape its hustle and bustle. Vence is a lively town all through the year, a living French small town with narrow alleys and the typical tree-lined town square, many small individual shops and restaurants with local food. 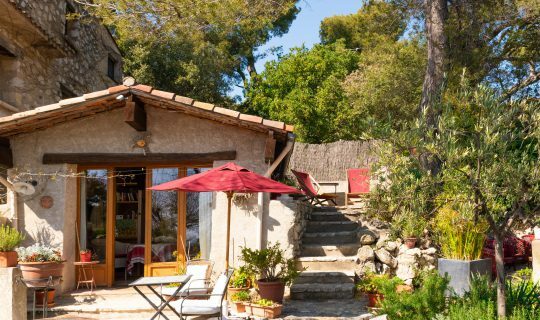 It is only 8 minutes to St. Paul de Vence, 20 minutes to Nice and 30 minutes to Grasse. We will be pleased to provide you with the right directions. So – you became curious? Our newsletter informs you about everything that is new and interesting at Villa Vivendi. Just join our mailing list. You can always opt out easily.